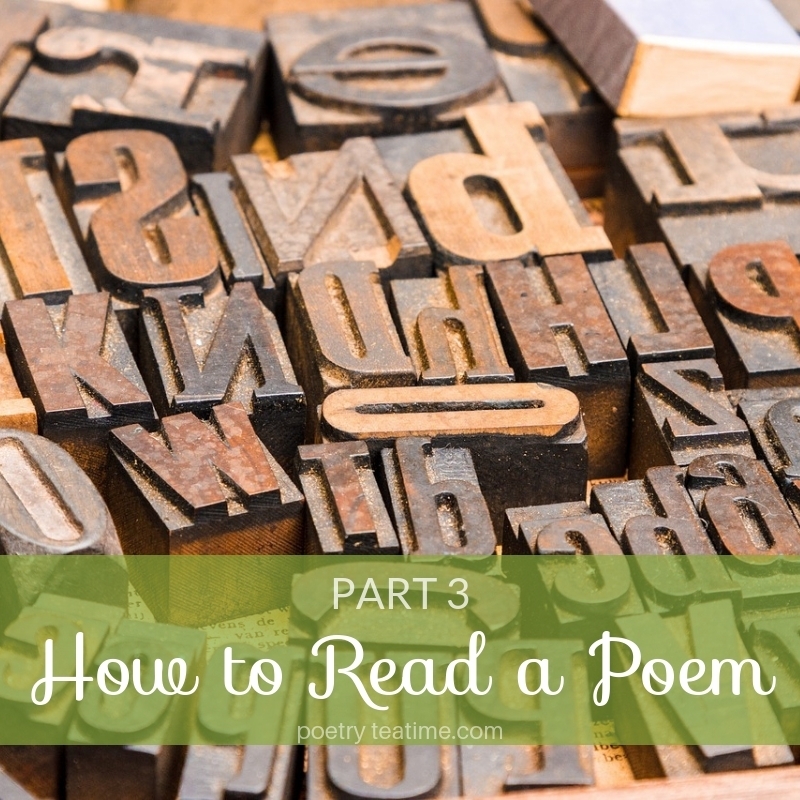 Poetic language (also called poetic devices) are the tools of of sound or meaning that a poet can use to make the poem more surprising, vivid, complex, or interesting. Examples of these tools include alliteration, onomatopoeia, imagery, metaphors and similes, and allusion. Poets don't include poetic language because they want to make their poem sound complicated or hard to understand. Instead, they use these tools to help you wake up, pay attention, and look at the world in new ways. 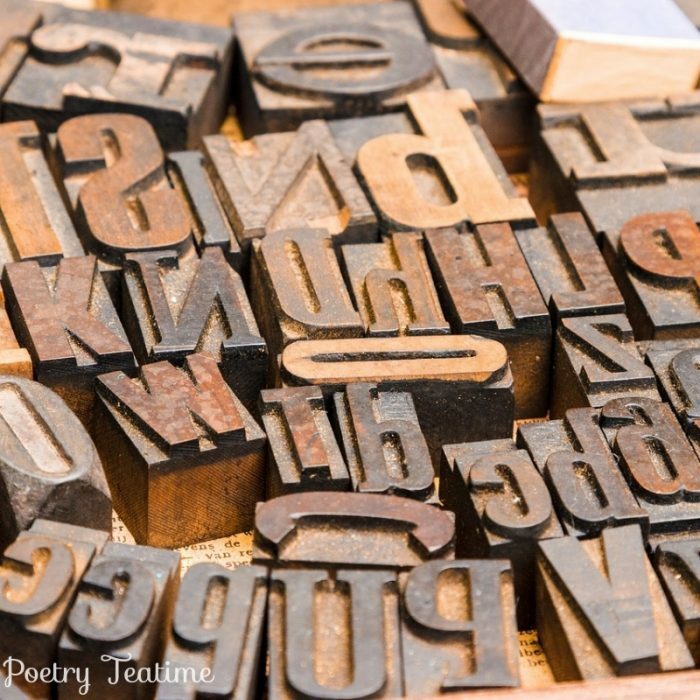 Find out more about poetic language in this list of poetic terms from Poetry Teatime and this long list of devices from Wikipedia. There are two steps to understanding poetic language. First, pay attention to places where the language surprises you. Here are some questions to help you think about the surprise of poetic language. Pay attention to anything else that’s different from the ways you normally talk and think about the world. Second, visualize the poetic language. In general, picture the kind of scene, moment, or world that the poem describes. Last, what’s the point of poetic language & images? We’re not quite done talking about poetic language. When you’ve spotted and visualized some of these poetic elements in the poem, think about why the poet may have used those devices. What do each of these things (images, metaphors, word choice, punctuation) add to the poem as a whole? Do they help you understand what’s happening in the poem in a different way? Do they affect how the poem makes you feel (happy, sad, excited, or something else)? Do they make you notice things about the world you haven’t noticed before? 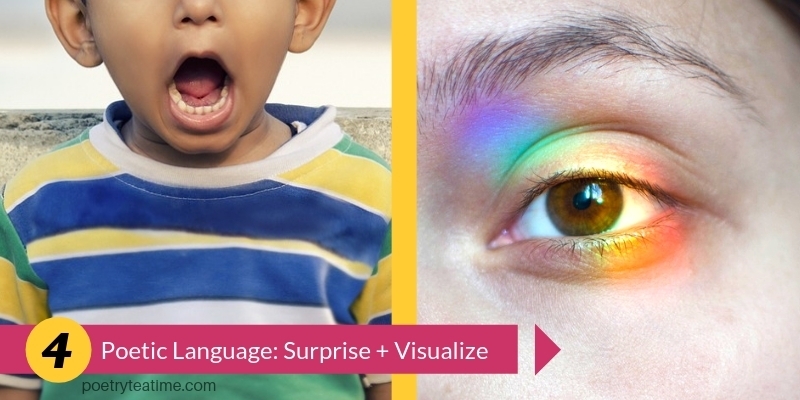 Just remember, surprise and visualize! Next week, we’ll be learning about the next-to-last step in understanding poetry: all about form.